GamFratesi creates furniture that respectfully reflects tradition while also featuring unique embedded stories, symbols, and associations, often expressed in a minimalist idiom. 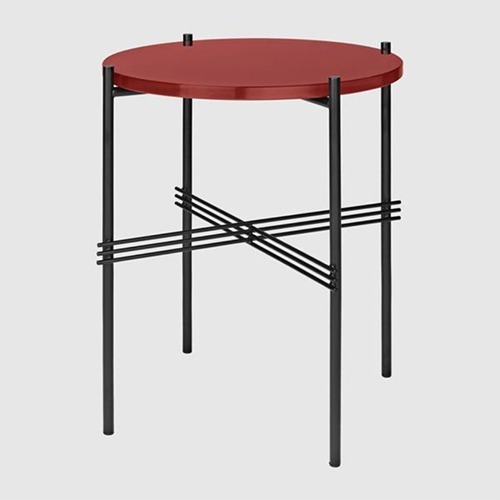 This philosophy translates in the simple metal frame of the TS table paired with an elegant marble or glass top. The TS tables work together as a small group, complementing each other with its different sizes and heights, but they also work equally well as singles. Metal frame is available in black or brass. The collection includes: dining tables, bar tables, lounge tables, round or square coffee/ side tables, a desk, and a series of console tables.